Livingsta shares her positive experience in business administration, customer service and education. Decisions are made every day, by everyone in all walks of life, be it professional or personal. The importance and seriousness of these decisions vary depending on various factors and they are made for various reasons and in various situations. Most of us think that decision making is a very easy task, but in reality, research shows that most people are much poorer in decision making than they think. To completely get involved in a decision making process, you need to understand clearly the purpose of decision making and the different processes or stages involved in that process. You will also need to have good knowledge of how to prepare and research information for decision making and also how to contribute effectively towards the process taking into consideration the ideas and contribution of other people involved. This hub is written based on an NVQ unit, “Contribute to decision-making in a business environment.” This is a Level 3 unit with a credit value of 3. There are totally 5 learning outcomes, of which Learning Outcomes 1, 2, 3 and 4 are assessed based on knowledge and understanding and other evidences. Since these also require the knowledge part, I have written down the answers for learning outcomes 1 to 4. Learning outcome 5 is assessed based on observation of the candidate’s performance in their business environment and other evidence of works, professional discussions, witness testimony, personal statement, etc. To have a look at Part 2, that is learning outcomes 3 and 4 of this unit, please follow the link below. Learning outcome 5 is as follows and it will be assessed in different other ways and it depends on your job role and on what your assessor thinks is the best way to be assessed. Your assessor will discuss this with you. So what is decision making? 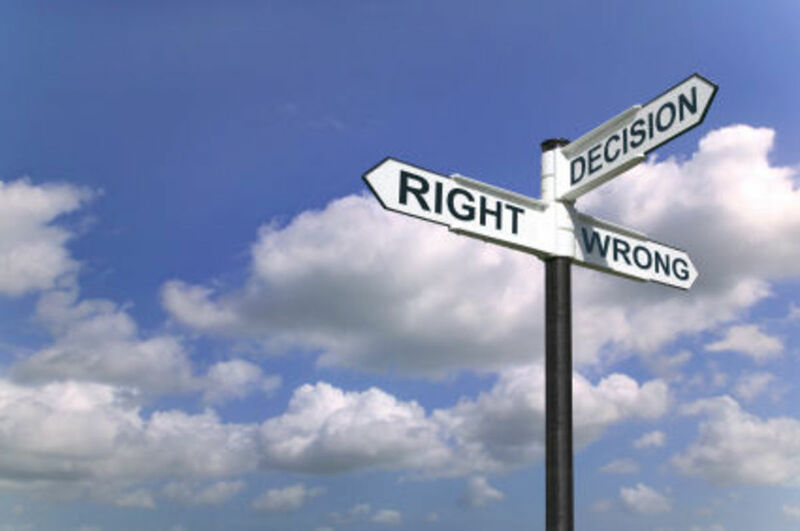 Decision making is a process where you reduce the uncertainty and doubt about any alternatives and make a reasonable final choice from the many alternatives available. We will now look at the various learning outcomes of this unit and discuss them briefly. In this section, we will look at identifying situations where decisions making is required and the key stages in decision-making process. To make a decision, you first need to look at situations where decision making is required and then make a decision. We need to look at how to identify situations that require decision making. Look at situations where you have multiple choices like, “Do this” or “Do that” or “Do something else” or “Why not this?” etc. You have multiple choices to consider or you have many alternatives to choose from. Allocating resources to complete a task – are the resources available, if yes, are they the right ones, cost of resources, etc. While designing projects – are resources available, is this necessary, how helpful and profitable it will be, how long it will take to complete, etc. Estimating values or costs – what is the expense, how much will the profit be, what should be the retail costs, how much is spent, etc. Selecting a team – how many people are required, what is the purpose, what skills are required, what are the costs of training, is this sufficient to achieve the goal, etc. 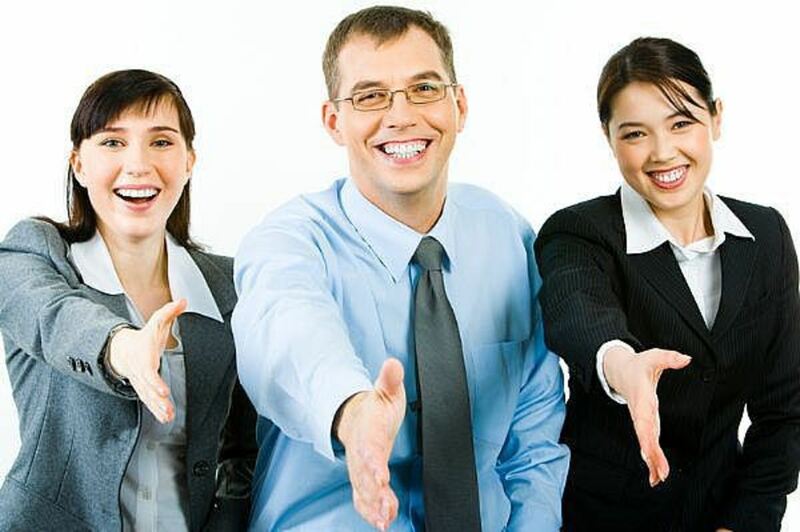 Interviews – purpose of interview, who to shortlist, who to select, why to select, what will be the benefit of choosing particular candidates, etc. Choosing suppliers – are they cost effective, why should we choose them, what is the quality like, what are the advantages of choosing this supplier, etc. 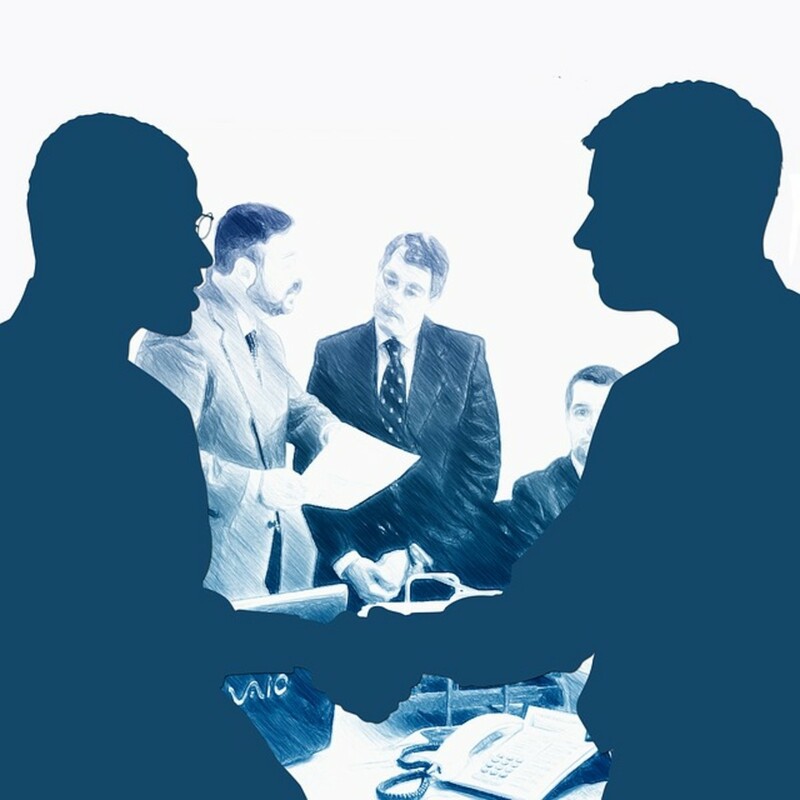 Preparing agreements and contracts – what details need to be included, what is the purpose, does it follow the policies and procedures and abide by the legal regulations, etc. Managing meetings – purpose of meeting, who needs to attend, what needs to be discussed, what outcomes need to be confirmed, etc. While making a decision, it is important that doubts and uncertainties are either reduced or eliminated and a perfect choice is made from among a list of available choices. The decision making process maybe an urgent one or a non-urgent one and the amount of time spent on analysing the factors depends on the urgency and importance of the required decision. Factors like the importance of the problem, time available, costs, resources, knowledge, training required and other factors are taken into account. Identify for what the decision needs to be made – look at all the factors and prepare a flowchart or map or summary of what needs decision and why it needs a decision. Look at the advantages and limitations. Is this going to be a permanent or temporary decision? 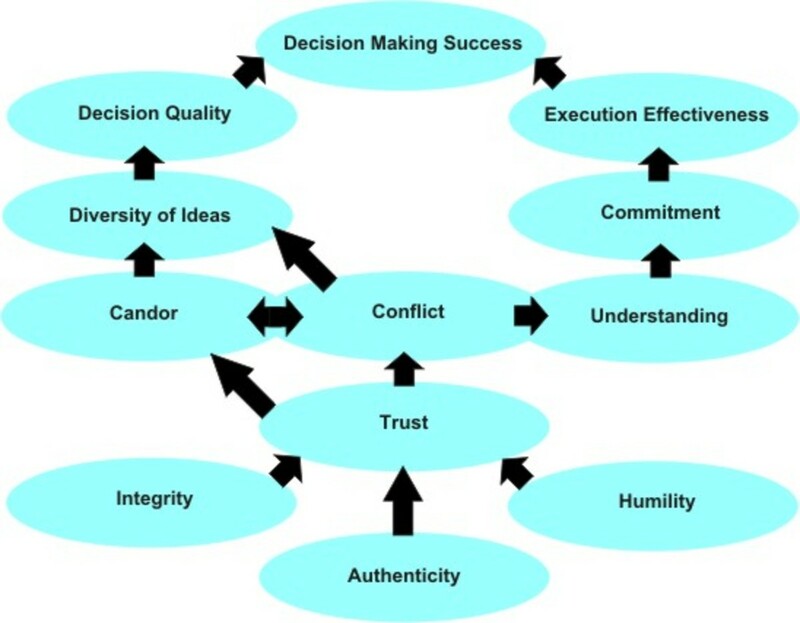 Look at all the reasons why the decision making process is required and if this will bring in any positive outcomes. Goals that need to be achieved – you need to be clear on what you want and what you wish to achieve. You need to decide on what modifications in the business and staff structure need to be made. Gathering facts – try to gather as many facts as possible like processing time, limitations, resources available, staff availability, barriers, information available, what will be affected, who will be affected, will this affect the other areas in the business, all factors that are involved and will be affected. Identify what needs to be decided and make it as clear as possible. See if there are any problems involved. Check to see if any other decisions or processes are dependent on this decision. Look at alternatives – A situation may not always depend on one decision. There may be many alternatives. If there are no alternatives, check to see if there are any alternatives available or if you can create an alternative! Sometimes, certain situations stay fine without a decision and get better with time. If you are not able to decide on alternatives, conduct meetings, brainstorming sessions, take ideas and suggestions from others and then shortlist alternatives from the ideas that you have generated. Assessing the alternatives – Look at the shortlisted alternatives and assess them for costs, outcomes, time, resources, profits, loss, etc. look at both the positives and negatives in each. Look for any risks involved and the impact the decisions will have on the organisation, employees and external agencies and customers. You also need to take into account the fact that, an alternative that is the best choice under the assessment process may not always be functionally the best in real world and may not be accepted by everyone. Assess the risks involved – You may have now rated a decision as good but now you also need to assess the risks involved. For example, you may decide to recruit a staff for some reason, but you will also need to check to see if they will really work out to be a good employee. You may have decided to buy a new machine for the business, but you also need to look at other risks involved like, maintenance costs, availability of spare parts, how much it will cost for running etc. So always check the impacts a decision may have. Communication – communicate the decision and the related information to everyone involved. Check that everyone involved is in agreement. Ask for ideas, suggestions and feedback. Decide on the best alternative / decision and make the decision – Now you would have assessed so many alternatives and assessed the risks involved. You now need to make a decision and this will be depending on what others like and prefer, it may be a combination of a few alternatives put together, taking into account a few good facts or you may even decide not to choose one. If you need to explain why you took that particular decision, do not just mention the benefits, but also mention the risks and drawbacks (keeps everyone aware, you are being honest here). Be very careful in taking decisions as some decisions cannot be revoked. Once the decision is made, implement it and keep reviewing the progress. Evaluate the results of the decision and see if anything needs to be done to improve the situation. In this section, we will look at understanding the purpose of knowing the context in which decision is being made, the role and responsibilities of a person contributing to decision-making, the limitations on a person contributing to decision-making, sources of information that can be used to inform decision-making and how to research information to be used to inform decision-making. The context in which a decision is made is the set of facts or circumstances that surround the decision. So while making a decision, we need to know the context in which the decision is being made. Data are collected in the decision making process and this data is converted into knowledge and the knowledge is used to make decisions. You can monitor, review and evaluate the outcomes of the decision effectively. It will improve communication and makes working as a team easier. As mentioned before, not everyone is good at making decisions although they think they are, and not everyone makes the right decision. A person who is involved in the decision making process has to be clear about all the facts related to the situation on which a decision is being made. Decision making can be either simple or complex depending on the situations and circumstances in which the decision is being made. Be proactive and gather all the necessary information and facts about the situation or event or any other factor on which a decision is being made. Calculate the time required or available to complete the decision making process and take into account any deadlines or timescales. Look for the costs and check that the finances are available and are within the budget limit. Be mature and understand the views and ideas of others and contribute equally. Should not cause hurt or damage in working relationships and should not destroy the value of trust. Managers and heads of businesses cannot always think about the issues in the organisation or business and take decisions on their own as a decision has effects on the employees and the business. So depending on the circumstances and situations on which a decision is being made, most decisions will require a group of experienced people to arrive at a decision. A decision made by a group is often more effective and more successful than a decision made by an individual. When a group of people are involved in the decision making process the process will take time and one cannot just push and dive into any conclusions or decisions. Decision cannot be intuitive as it will be quick and will not satisfy or adhere to the needs of the organisation or its aims. If a group is responsible for making a decision, the responsibility for any errors becomes less or none at all. Also if one person takes responsibility for a decision, any future responsibility related to the decision becomes that person’s sole responsibility. When a decision has been made, the decision needs to be informed to the relevant people, departments and organisations. Before passing on the information, you need to identify what their requirements or needs are and provide only the relevant information in an appropriate way / format. You will need to provide evidences / arguments wherever possible. Make sure that you follow the organisations policies and procedures and adhere to the legal requirements. Look at confidentiality issues and security issues before sharing information. Check for any barriers or constraints in information sharing. The purpose and reason for which information is collected will have an effect on the data collected. So careful steps need to be taken to collect information and to inform decision making. Once all these are checked, you can use the most relevant source appropriate to each recipient to inform of the decision making process. These could be emails, flyers, booklets, letters, noticeboards, media, like newspaper, television and radio, magazines, journals, reports, meetings, conferences, consultations. Check to see that the recipient has understood what you have communicated. Make sure that you get feedback on the information provided as this will help you grow and develop your skills. Confidential information have to be informed via confidential and secure sources. 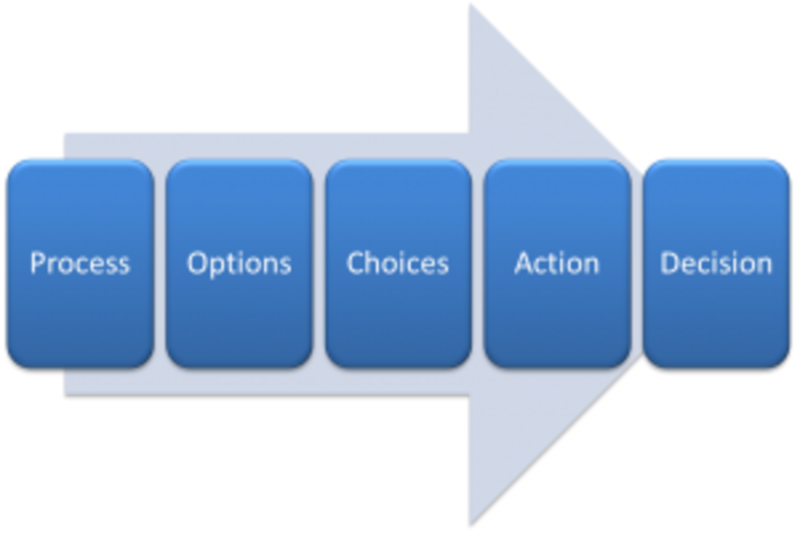 When you need to make a decision, you will need to know a model of the issue about which a decision has to be made and so data or information has to be collected based on this model. You will need to identify what data need to be collected and by when. Once you have a list or details about this, you will need to find out sources on how the data will be collected in an efficient manner. Sometimes, some data may already be available. So work on the rest of the data that is necessary to carry out the decision making process. When you have the data in hand, you will need to convert this into useful information like charts, histograms, graphs, diagrams, etc. It is always best to have suggestions and advice from people with all levels of experience and different knowledge and skills to contribute to the decision making process. Articles and publication on decision making relevant to your area of business can be an excellent source of information and advice. Talk to experts and get their advice. 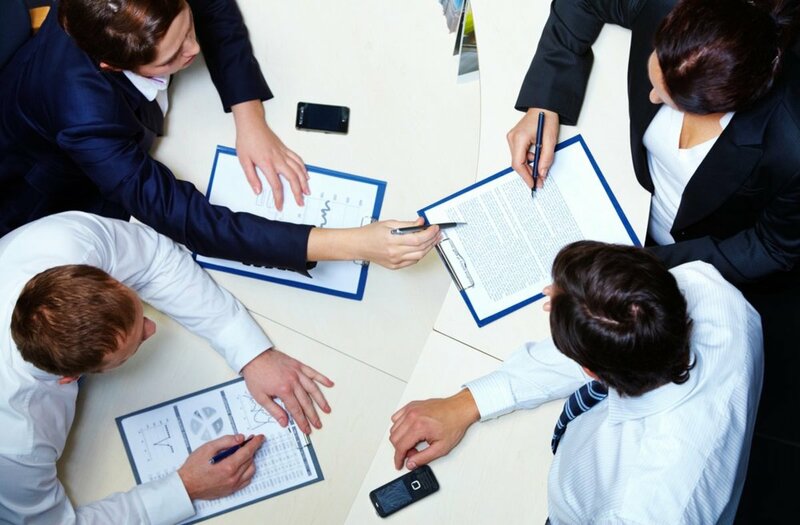 Hold meetings and group discussions to collect or discuss the ideas that you have gathered or researched. Gather information from all the departments that are involved in the process. For example, gather information from the finance department like balance sheets, sales and purchase information, assets, wages, other costs. 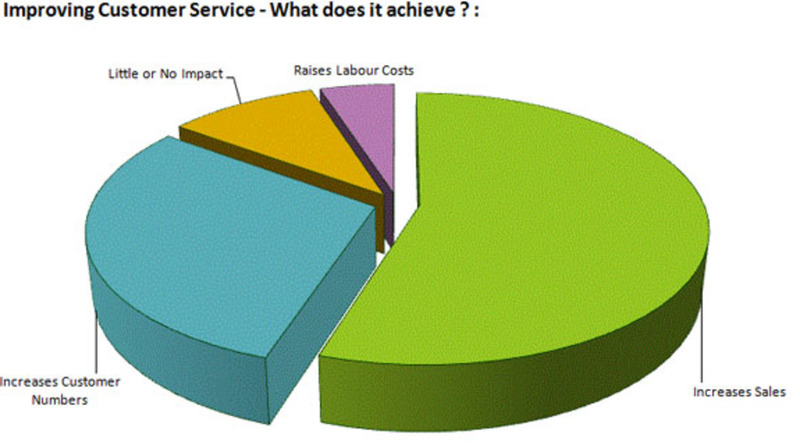 Look at ways to reduce costs, increase profit and increase sales. 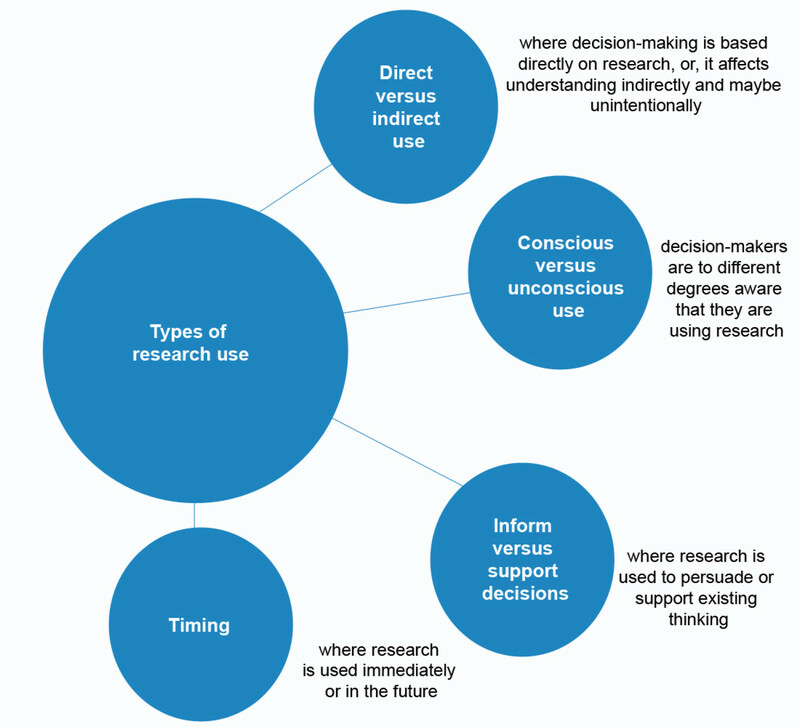 Please also refer to question 4.2 of this unit, for more information on researching information for decision making. Please follow the link below. Did you find the information here useful or helpful? I hope this has been of some use to you. If you feel that any more information could be added, or something could be done to make the hub better or if there are errors and deviations from the points discussed, please feel free to feedback. Hello liamhubpages, thank you so much. Sorry for the late response. I am glad that you found this useful. I cannot agree less with you as it is sometimes good to leave the "decision making " part to others as it lets you learn and analyse things from a different perspective. Have a great 2016! Great hub once more, sometimes I have some issues with my own decision-making, and it is maybe even better to leave that to others. Hi Vellur, true. I am glad that you found this useful. Thank you for stopping by and sharing your thoughts. Making a decision is very tough, you have made it sound so simple with your hub. Great write and voted up. Hi Bill, thank you my friend. I am smiling. Hi Joe, thank you for your comments and feedback. I prepared this NVQ series as part of my qualification towards a diploma in Business and Administration and thought that I will share my experience here. Also, thought it may benefit other candidates who are into this qualification. Thank you so much for continuing on to part two, see you there! Was this for an online business class that you're taking? It was all so very professionally presented that I had to switch from my whimsically creative mode to my academia mode. LOL! I now am turning to Part II...but not before telling you how very impressed I am with how diverse a writer you are. Thanks for sharing and even more so for your contributions to our HubPages community as a personable and giving individual. Aloha, and I'll be back in a jif!